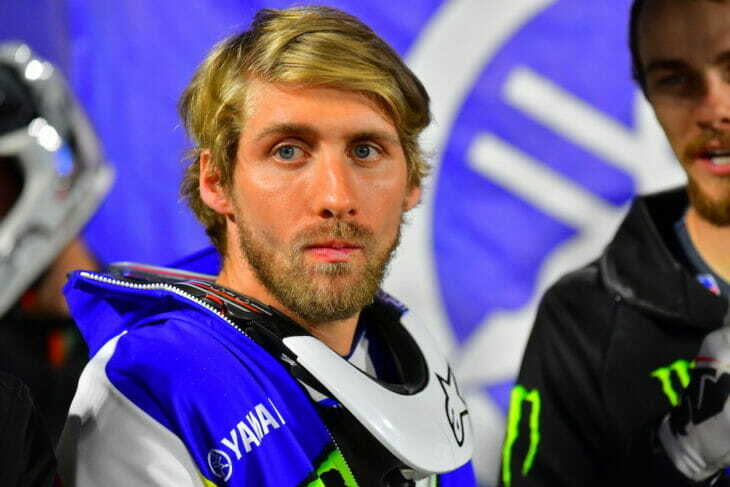 According to Yamaha, Justin Barcia is being evaluated for a bruised tailbone following his crash at the Anaheim 2 Supercross, January 19. Justin Barcia crashed out of the third and final main event at Anaheim 2. He is being evaluated for a bruised tail bone. The Monster Energy Yamaha Factory Team rider cross-rutted over a jump and went down and was unable to continue.